Talk about procrastinate! It was very difficult to choose but in the end I have chosen one pants pattern and one cape pattern. I did like the green cape in 08/2013 but my 15 year old son told me I would look like a homeless person in a blanket!! So I couldn't unthink that visual image and have gone for somethiing more contemporary looking. 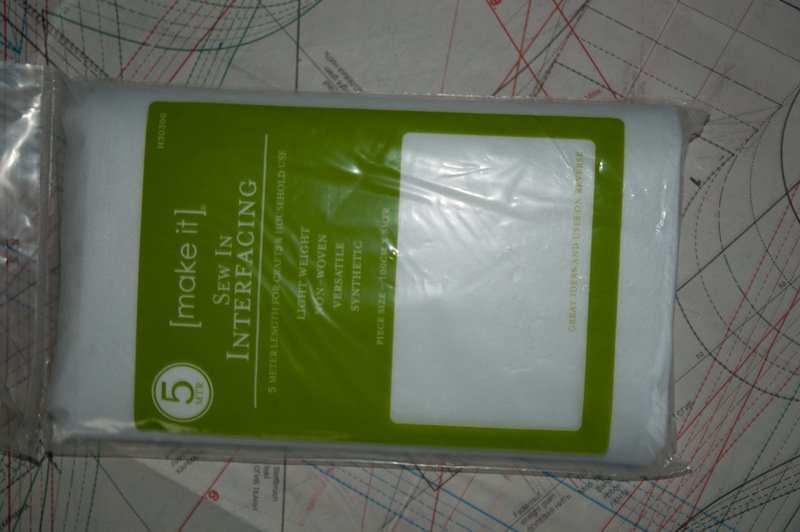 As I metnioned I use vilene (non-iron on interfacing) since I got a bag of 5 metres for NZ $3.99 whereas 4 pieces of flimsy Burda tissue was NZ $15.99. I use a ballpoint pen to write on the vilene having carefully pinned the vilene in 4 places near the edge of the sheet to keep it secure. Label each piece with magazine number, pattern number, piece number out of total number of pieces and the name of the piece which you get off the instruction panel. Check for the instructions that apply to the piece you are cutting out like "fold line" and mark largely and clearly. Remember the seams and hems aren't included!! Pin the vilene pieces together for safe keeping - a single pin usually does it. I have this cape material in my stash so will begin on this. I am a bit apprehensive about what size to cut for the pants which will take some thinking about. The lights in my house are not good for sewing at night - silly halogens. I find they don't give good coverage and there are lots of dark spots. My fabulous mother bought me an angle poise standard lamp to help so I will get that out now that daylight saving is over. Ahh that cape is one of my many patterns with a post-it note on it!! :) I love your fabric choice. I find it hard now to work with darker fabrics in the evenings too. I use an angle lamp but I really need to up the lighting in my sewing room one day! 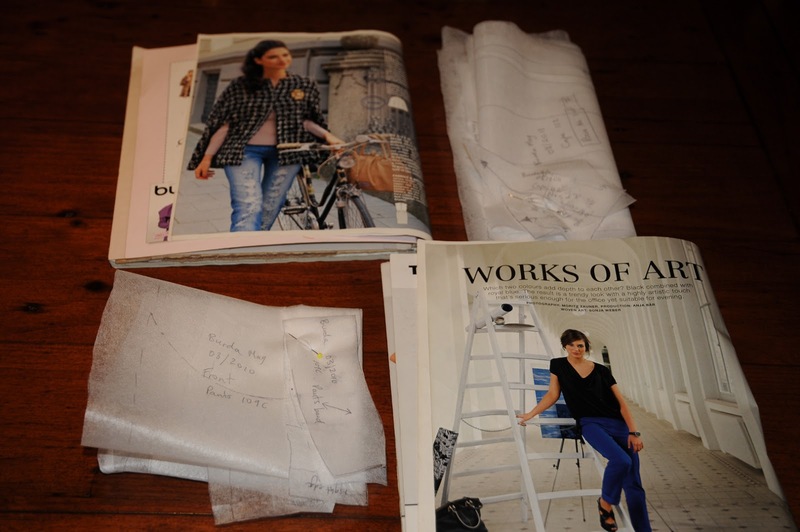 I only tend to buy/use patterns from the Burda website. 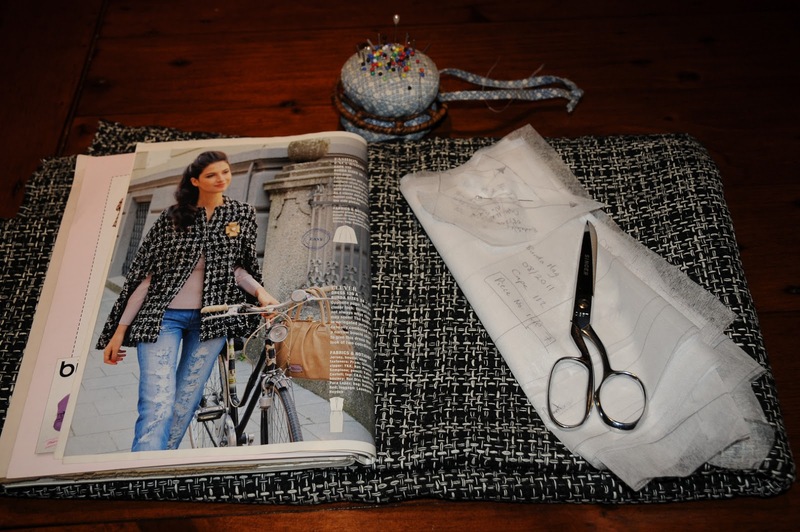 I'm currently working on one of the magazine patterns that is offered online; a jacket. 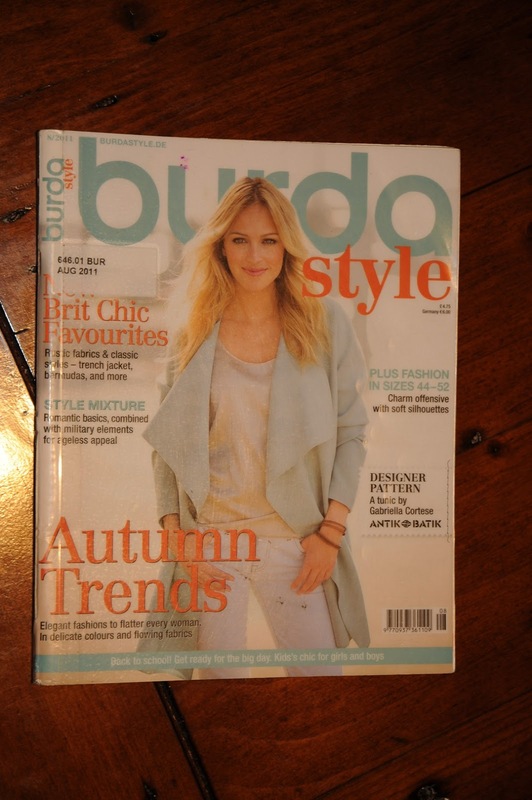 Where do you buy your Burda's from? I can't find them in NZ!